Ever since I read Thomas Eccardt's book, "Secrets of the Seven Smallest States of Europe" in 2015, I developed a bit of an obsession with trying to visit the all the European microstates of Andorra, Liechtenstein, Luxembourg, Malta, Monaco, San Marino and Vatican City. With time, patience, and a healthy dose of luck and hope, I finally succeeded in that goal. I was able to visit Vatican City in 2008, Malta in 2013, Liechtenstein in 2014, Monaco, Andorra, and San Marino in 2015, and I finally got to Luxembourg in 2017 after postponing several times. While I thoroughly enjoyed visiting all of the microstates because of their relative uniqueness and size since many of them have a smaller population than many cities and towns throughout the world, San Marino stands out to me as probably the most unique and beautiful of all of the European microstates. For one thing, it is a country that is completely surrounded by Italy and is located on Monte Titano in the Appennine Mountains. In addition, it has a surprisingly long and illustrious history. By most accounts, this is probably one of the oldest countries in Europe. In fact, San Marino claims to be the oldest sovereign state in the world since its official founding date is September 3, 301. This beats the foundation of many modern states by several centuries. 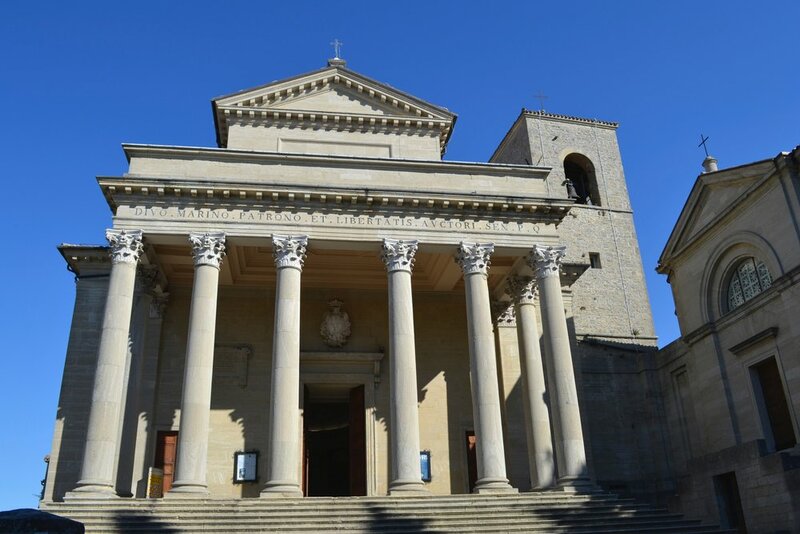 The popular story is that a Christian stonemason named Marinus, who originally came from the area of Croatia, settled the in the area in the 3rd century in order to avoid the persecution of Christians during the Roman period. 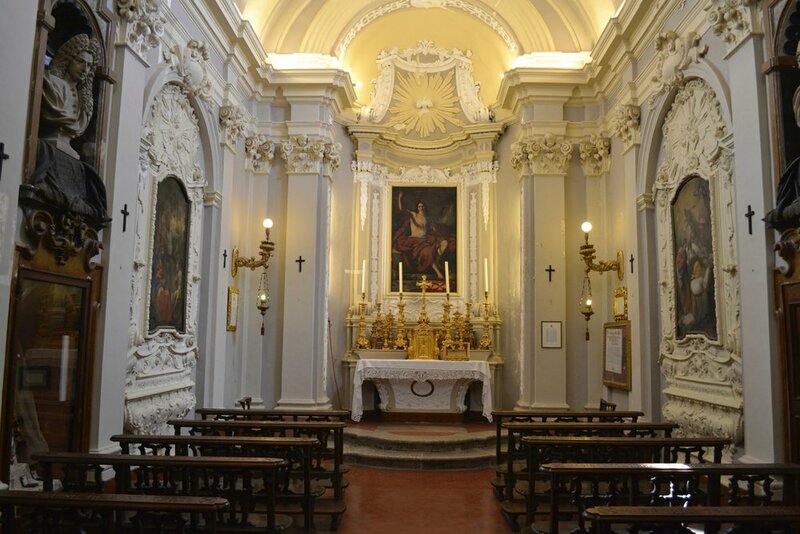 Gradually, a monastic community developed, and the area eventually grew into the modern day country of San Marino. The decision to visit San Marino in 2015 came about in a somewhat strange way. Since my holiday period at that time also corresponded with my 32nd birthday, I wanted to do a "birthday blitz" and try to visit as many new countries as I could. My main goal was to spend my actual birthday in France along with a visit to Monaco since I still had not visited either place before. In addition, I had been inspired after reading Eccardt's book to try and visit these microstates, and I figured this would be my chance to do it. For this particular trip, San Marino, Monaco, and Andorra were all visited. However, before visiting France, I decided to head to Italy and include a day trip to San Marino. At that time, San Marino kept sticking in my head, and I was becoming more and more interested in learning about it. Since I was not sure when I would have the next opportunity, I decided to add it to my travel itinerary. In order to do this, I looked for an Italian city that would be easy to fly into and make a trip to San Marino from. I also wanted to choose an Italian city that I had not been to before. After some research, I decided that the best course of action would be to base myself in Bologna for a few days. I chose Bologna because it has an airport, and it was the easiest and most straightforward way to get to San Marino. Plus, I had never been to Bologna before, and I knew from background in art history that it would have a lot of wonderful things to see. This plan not only allowed me to see what Bologna had to offer, but it also gave me a chance to properly figure out how to get to San Marino and get my bearings in terms of transportation. I deliberately chose a hotel that was relatively close to the Bologna train station, and the day before I planned to head to San Marino, I walked to the train station and made sure I knew the departure schedule. After a lot of traveling, I've learned that it always pays to be prepared, so now I often make a stop in the train station to get an idea of the departure and arrival schedules of trains. I can say in all honesty this has saved me a lot of stress. After spending a couple days exploring Bologna and seeing amazing sights, I decided to take a day trip to San Marino on September 10; several days after the country's initial founding date of September 3. Getting to San Marino was an extremely easy and painless process. On the morning I decided to head there, all I had to do was take a train from the Bologna train station to the nearby Italian city of Rimini. The train ride took about an hour and after arriving in Rimini, I just had to cross the street to catch a bus that headed directly to San Marino. If I remember correctly, on the day I went, the bus was quite crowded and was about to depart. The cost to San Marino was 5 Euros, so it was not too expensive. From Rimini, the ride to San Marino was about a half hour, so it certainly wasn't bad. The ride itself was quite pleasant and provided many nice scenic points on the mountain ascent to San Marino. Because there are no border controls, no stops had to be made for passports or other official business. Upon arrival in San Marino, it was still relatively early in the morning, so the throngs of crowds hadn't arrived yet, and a lot of shops still had not opened yet. The bus actually dropped us off a little bit below San Marino, but it was a very simple matter of climbing up some steps to the top. I knew from experience that it would not be long until the place started to get crowded, so I went ahead of the other bus passengers who had stopped in some nearby souvenir shops that were open early and tried to get some nice snapshots of the main plaza and streets before they became packed with other daytrippers like myself. When I first arrived on the main street, my first impression was that it was definitely kind of a touristy place since almost all the shops on the main street were souvenir shops, but this did not particularly surprise me. I knew that if I walked around and explored, I would find more kinds of authentic places away from all of the souvenir shops. I was not mistaken. Because it was still relatively early, I got to walk around without running into many other tourists, so for a little bit, I was able to explore the place in relative peace and quiet, and I really got the impression that I was the only person here that was checking a new place. For those that know me, not only do I really enjoy collecting banknotes from each country I visit, but I also enjoy collecting passport stamps if I can. Since it was unlikely that I would find any Sanmarinese coins unless I really looked, I opted to settle on trying to get a passport stamp instead. I had done some research before I left, and I knew that it was possible to get a souvenir passport stamp from the San Marino Tourist Information Office, so that was naturally my first stop. The passport stamp was not free, and it cost a little bit of money, but it was only about 3 or 4 Euros. However, the stamp made a nice addition to my passport. Once the stamp was in my passport, I left the Tourist Office quite happy and continued walking around and exploring the area. If I have to be honest, I think I was truly blessed when I visited San Marino on this day. Whenever I travel, one of my biggest fears is weather. Weather can sometimes be unpredictable and change quite unexpectedly. There have been many times during my travels that bad weather has scuttled travel plans and required making alternative plans very quickly without much chance to do some research in advance. Plus, bad weather can really determine the quality of pictures. There have been many times when no matter what I do, I cannot get decent quality photographs because of environmental conditions (this was particularly true when I visited Versailles on my birthday during this same trip), but it is a risk everyone takes when traveling. 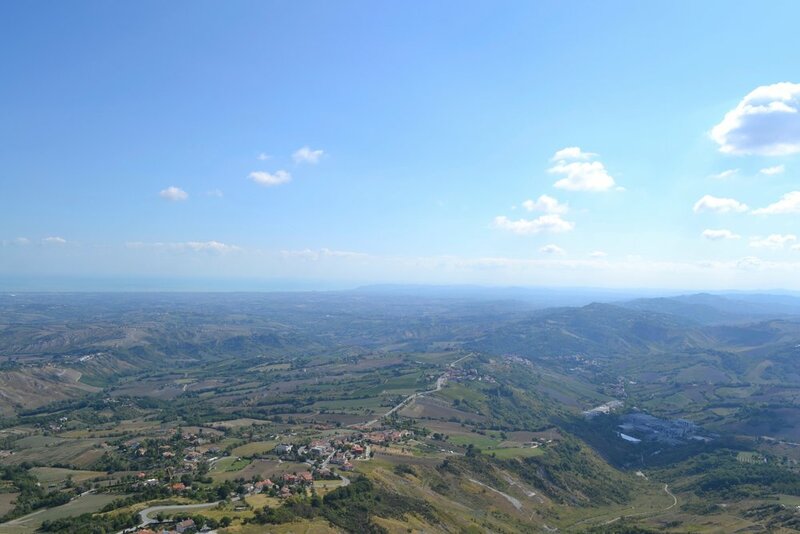 However, my visit to San Marino really stands out in my memory because I had absolutely perfect weather. The weather was not too hot nor too humid, but a light jacket was needed. In addition, there were not many clouds for the better part of the day. More perfect weather couldn't have been asked for. This allowed me to take some absolutely amazing shots of the surrounding countryside from many different vantage points. Even though I saw many different sites during my trip, my absolute favorite part of visiting San Marino was just taking in the uniqueness of the place. 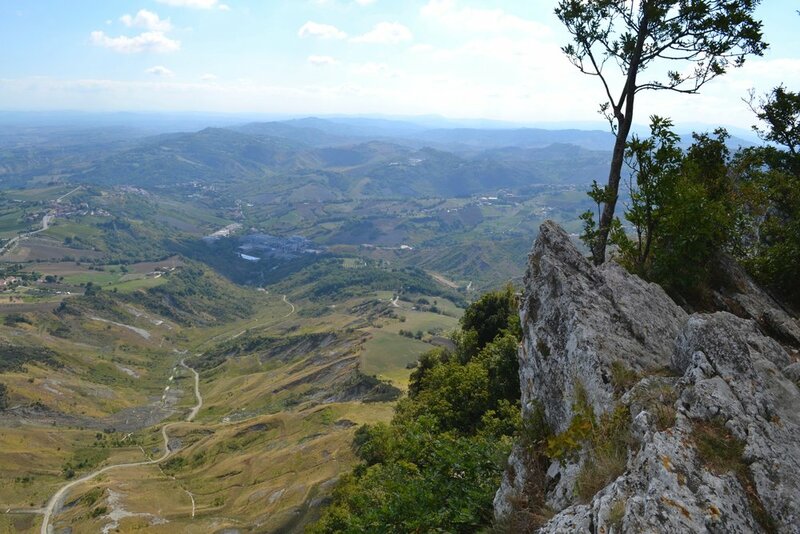 It is a literally a country on a mountain with three very picturesque fortresses (Guiata - the first picture, Cesta, and Montale) that are placed on three different peaks in the country, and they provide amazing views of the Italian countryside along with Adriatic Sea to the north on a clear day. 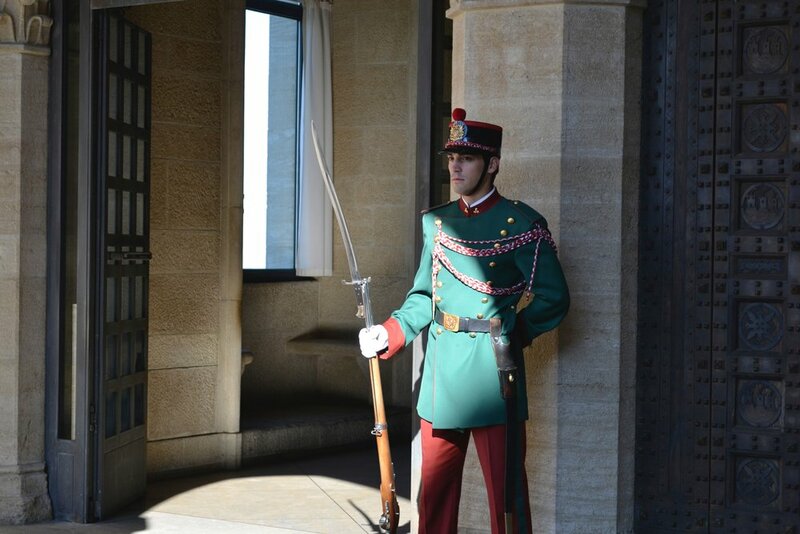 The fortresses themselves are wonderful to explore since they are not only very picturesque, but they are symbols of San Marino since they are depicted on the national flag and serve as museums. However, it should be noted that visitors can only access two of the three towers. The Montale Tower, which used to be a prison, is not open to the public. I found this particular tower interesting since when I got close to it, I noticed that its door was 7 meters (22 feet) from the ground, and there was no ladder to get inside. I only learned about its original use after I returned to Bologna. After spending an entire day in San Marino and taking in the scenery and history of the place, I headed back to Bologna exhausted but extremely satisfied with a sense of personal accomplishment. This visit had allowed me to visit my 49th country at the time, and I was blessed with picture-perfect and comfortable weather. In addition, everything went according to plan, and there were no issues or surprises that arose like they sometimes do. If I have to be perfectly honest, even though I have visited 25 more countries since that visit in 2015, San Marino still remains one of my absolute personal favorite countries that I have ever visited because of its relative uniqueness and extremely beautiful and picturesque scenery. Have you ever visited San Marino? I'd love to hear your thoughts.